So, mid-January. This blog is turning into an occasional travelogue more than anything, and there's a few reasons for that. Deadlines are looming, and when I do have some free time I'd rather spend it with Ritsuko, read a book or study Japanese. It's mid-winter. 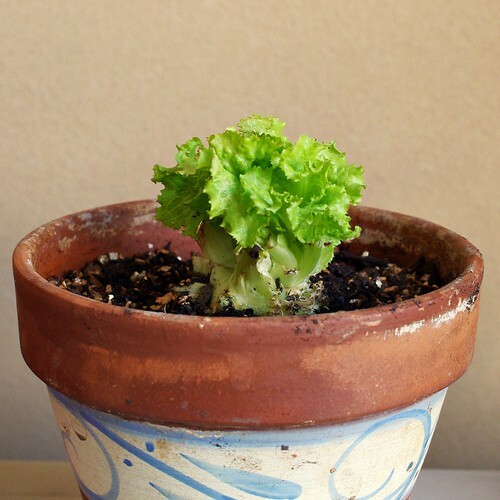 But our small-scale lettuce farm (it doesn't get smaller-scale than this) is showing signs of life out on the balcony. Small, new leaves are beginning to sprout already. But another reason is my new calendar. When I first became smart-phonified, I gave up on a paper calendar. It seemed so convenient to have it on the phone and on my laptop, and I could also synchronize work calendars with my own. But I never quite managed to become satisfied with it. I tried several calendar apps and tried to adapt but it just never really worked well. I finally realized the problem: An electronic calendar is a timeline. Everything has a specific time and date, and everything is connected to that timeline. But I've always used a calendar more like a notebook. The basic structure is a note about something. One note can be anything from a single word to half a page of text and drawings. And one note might contain several datetimes — or none at all. A two-day conference is a good example. I'd add the entire two days as a single note or two, with flight times and numbers, the rough conference schedule, talks I want to hear, hotel info and so on. During the conference I'd add notes about talks I hear, paper references, sketches or maps. Since I know when I wrote it down I can always find it again later. How is a paper calendar connected to this blog? I need to practice my Japanese. And since I now always have paper and a pen with me, I've started writing a blog/diary/running notes in Japanese. Since it's in longhand, I have to actually remember how to write the kanji, not just pick them of a list on the screen. And with a pen I have to decide what to say and how to say it before I start writing. It's a lot of fun, and good practice, but it does cut into my time writing here. We spent New Year in Hokkaido. 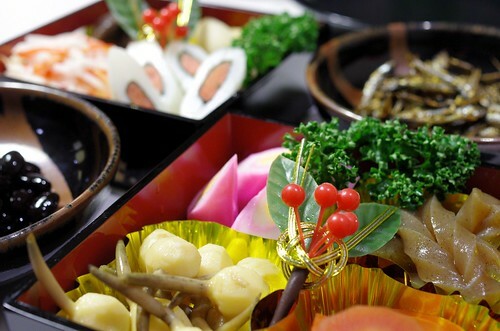 But Ritsuko still likes to cook new years food, so we made some osechi-ryouri at home once we came back. Best thing about making it at home is that you can make just your favourite foods and skip the rest. I'll post about our New Years trip to Hokkaido eventually. So far I haven't even developed the film so it will take a while.